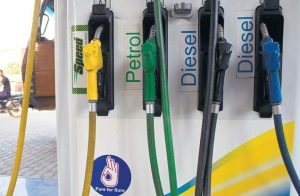 The Chamber of Petroleum Consumers Ghana, has called on various Oil Marketing Companies (OMCs) to as a matter of urgency reduce prices of petroleum products. It further stated that, although petroleum consumers expect prices to go down to commensurate movements on the world market, the various OMCs have refused to effect the reduction. “World market indexes continue to hover around $45/barrel as of this day and time representing over 7% since the last decreases in the early part of the month when the world market indexes were trading around $49/ barrel. The phenomenon where consumers continue to be shortchanged when the time comes for reductions in pump prices is clearly becoming institutionalized and must be checked forthwith,” it added. The Chamber in April this year, made similar calls for government to reduce the 17.5 % taxes imposed on petroleum products which took effect in January this year. The Chamber contended that, the continuous imposition of the taxes will adversely affect Ghanaians. “When that happens, they are forced to pass on that to the Ghanaian consumers which is what we are expecting to see on May 1st,” Executive Secretary of the Chamber, Duncan Amoah earlier told Citi Business News.